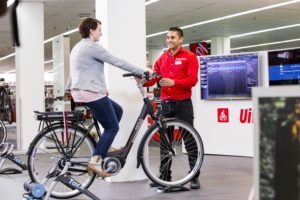 AMSTERDAM, The Netherlands – Next to a growing import of bicycles into the EU countries in the first half of 2014 also all stock listed bike companies like Shimano, Accell Group and Dorel Industries reported an upswing in their first half year results. After four years of decline the trend break is there. One year ago this trade journal informed in its Market Report Europe that all signs were red with one exception: e-bikes. This report was on 2012. Now Bike Europe reports on 2013 and on the first half year of 2014. In particular when taking into consideration the first six months of this year (as well as all that came out of last August Eurobike Show), the outlook distinctively changes in colour. 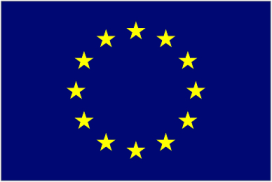 In 2013 EU bike import from countries outside Europe dropped by 9.6%, according to Eurostat. It indicates that overall market conditions were depressed, like in 2011 and 2012. 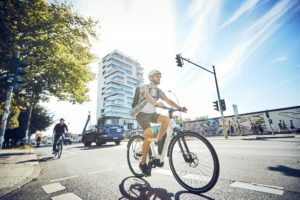 Apart from e-bikes that is as sales in this category continued to grow in the two main European markets; Germany and The Netherlands. In Germany electric bicycles again performed outstandingly with a 7.9% rise in sales to 410,000 units in 2013. And their sales continued to grow in the first half year of 2014. For the whole year of 2014 the German industry association ZIV is expecting that the total sales volume will stand at 450,000 units. With that e-bikes currently hold a 10 to 11% market share in the total number of bicycles sold in Germany. ZIV expects this share to grow to about 15% in the next years to a volume of some 600,000 units. In Holland the share of electric bikes in total sales increased from 16% in 2012 to 19% in 2013. In the Dutch market the electric bike proved (again ) to be the “motor of the market”. The number of new e-bikes sold increased by a big 9.4% to 192,000 units. In turnover terms, e-bikes are responsible for a share of 45.2 %, an increase of 3.1 percentage points compared to 2012. In the first half of 2014, electric bikes in Holland stayed at the same high level as compared to the similar period in 2013. For the whole of year 2014 again sales of close to 200,000 units are expected. In two other main European bike markets – France and Italy – electric bike sales also flourished in 2013. In France with 17% and in Italy sales were up by 12%. However, the total volume of the e-bike market in the two countries still remains relatively small with about 60,000 units for each market. This situation is exemplary for many other EU markets. Public interest for electric bikes is still low as many people don’t know the product. However, that interest is growing which results also in sales growth. Next to that, this year’s Eurobike showed that e-bikes have become such a dominant factor that it reflects the widespread believe that this trend will catch on in all European markets. 2014 also heralded more widespread sales in several EU markets of speed pedelecs. First indications prove that this new category (also called high speed e-bikes) will become highly popular. For the whole of 2014 a total sales volume of about 2,000 units is expected in The Netherlands. 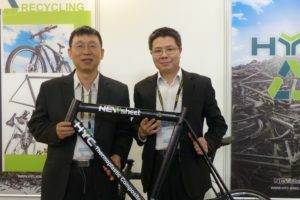 On a e-bike market of about 200,000 units this is still small. 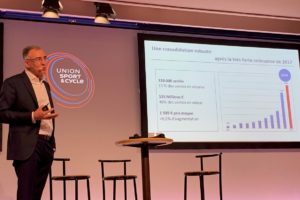 But for a first year and taking into account that speed pedelecs are sold at considerable higher prices as regular e-bikes (over 3,000 euro), first results are encouraging. The 2014 Eurobike Show also saw a more widespread offering in electric Mountainbikes which is the next category getting electrified. Will all these developments ultimately lead to what was predicted by the CEO of Bosch eBike Systems; that electric bikes in all their forms eventually will account for 50% of the total bike market? The popularity of e-bikes in their main markets comes at an expense. It offsets the sales of traditional and sports bikes. Despite an improving economy, cleared inventories at dealers as well as favourable weather conditions in the first half of 2014 sales were flat compared to the same period of 2013 in The Netherlands. For Germany industry association ZIV reported a 4% rise in unit sale and 8% in turnover. Half year reports for other EU markets are not available, but when taking the 2014 half year financial reports of stock listed companies like Shimano, Accel and Dorel in account markets have found their way up. In particular interesting is what Shimano notes in its half year report. The biggest bike company reports on ‘brisk order-taking’, ‘promising market trends’ as well as ‘relatively low inventory levels at distributors and retailers’. All this prompted a 18,5% rise in bike component sales. It’s clearly promising. 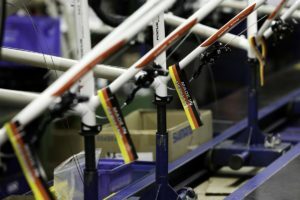 “The Union industry contributes significantly to technological innovation and spin offs, such as the recently developed EPACs that would not be economically viable without having a bicycle industry in the Union.” This says the European Commission in its anti-dumping review of June 5, 2013.